Exclusively ours. 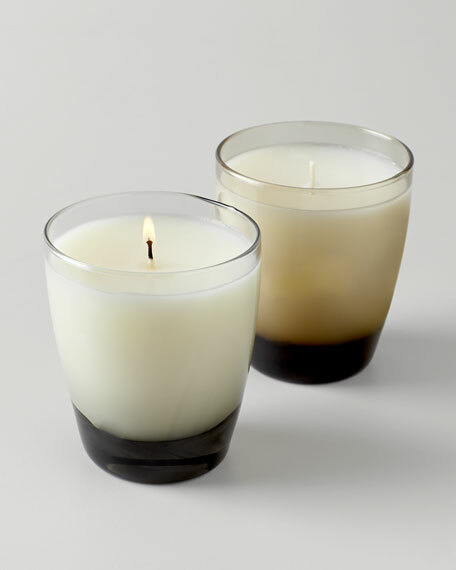 Tap into the power of fragrance to create a welcoming and comfortable ambiance in your home with these intoxicating scented candles. 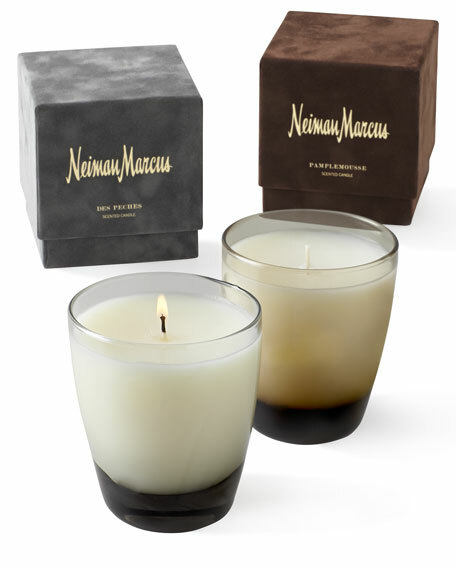 Made of soy-blend wax with fragrance oils. 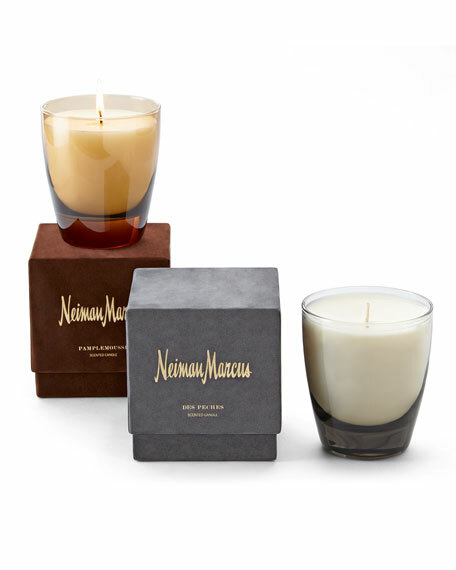 Available in Peach (shown in front) or Pamplemousse & Bois (shown in back); select fragrance when ordering. Sold individually; each approximately 3.625"Dia. x 3.375"T.